Should you learn Chinese vocabulary from lists? Should you learn vocabulary from lists like this one? It depends! Lists are nice. They make the world seem more ordered and less daunting. Ticking something off a list feels good and when you’ve worked your way through a list, you know that you’ve accomplished something. 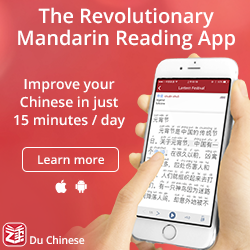 Thus, it’s not strange that many students of Chinese like learning characters and words from lists, because it does make it look easier and you can also clearly track your progress. But a language is a complex system for communication, not just a list of vocabulary, so reducing it to that can be dangerous. In this article, I will discuss pros and cons with using lists for learning Chinese. As we will see, lists can be useful, but some lists are more useful than others and they need to be used in the right way! 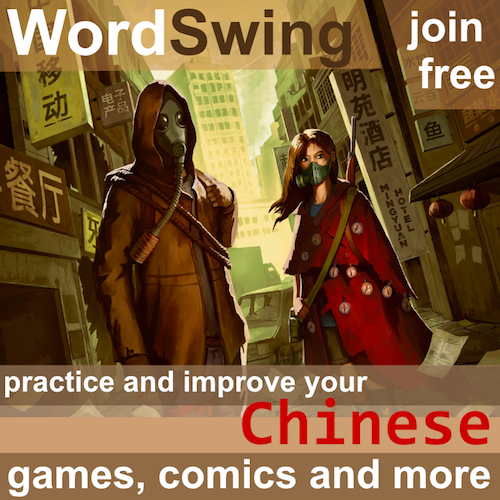 Easy to find – There are more vocabulary lists online than you can possibly make use of in your life studying Chinese. Finding those words manually could take a very long time. Few choices – A list is ordered in a clear way and you just work your way through it. You need to make few choices once you have selected the list. If you find a well-curated list, it can be a goldmine! Measurable progress – It’s easy to see how many characters or words you have learnt, which is highly motivating. Compare this to some other, more vague learning activity where you don’t feel or see progress at all unless you’re a beginner. Convenient to review – Most flashcards apps, such as Anki, Skritter or Pleco, have a feature where you can import lists created by others. With a few clicks, you can find all sorts of vocabulary lists and add hundreds or even thousands of words. Manageable chunks – Learning words, characters or even components allows you to tackle the language one small unit a time. Reading text or listening to flowing speech is hard; learning the building blocks makes it easier. Each of these are valid reasons for using lists in some way, but that doesn’t mean that you should use them all the time or that there aren’t problems associated with using lists. Let’s turn the above pros around and see how they can actually also be cons. As I said in the introduction, a language is a complex system for communication. It would be naïve to think that you could master Chinese simply by studying lists of characters and words, but even if few students actually think that’s the case, many act as if it were at least partly true. Easy to find… but how do you know that you’ve found the right list? The fact that you can find lists easily by searching doesn’t necessarily mean that the lists you find are suitable for you or that they are of high quality. For example, a frequency list based on newspaper text is not suitable for boosting vocabulary for spoken language. Or, a list compiled by another beginner based on a textbook with bad translations is not the best source for new vocabulary either. 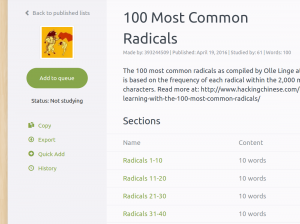 Learning all radicals is a waste of time, but learning the most common 100 is a great idea. Few choices… but aren’t you just ignoring the problem? Not having too many choices is good as a beginner; you need guidance. 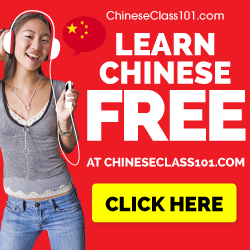 However, since learning Chinese is a complex task with many things to do that can be done in many different ways, hiding within the confines of a vocabulary list won’t really help; you’re just ignoring the complexity of the problem. If you really trust the person making the choices for you and they know of your situation, motivation and goals, you should be fine, though. Measurable progress… but are you measuring the right thing? – I believe that measurable progress is great, but as soon as you start measuring, you need to be really careful that you’re measuring the right thing. 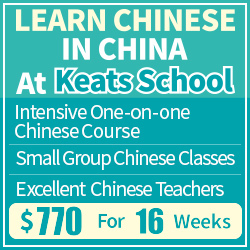 You are, after all, trying to learn Chinese, not only Chinese characters and words. I’ve written two articles about this problem already: The importance of counting what counts when learning Chinese and Measurable progress is a double-edged sword. Yes, you’re making a lot of progress if you measure how many words you can handle in your flashcard app, but does that mean that you can use them? Even if you could, is that equal to proficiency? Not really. Convenient to review… but are you learning the words properly? Many students, including myself, go through some period where they binge on new vocabulary, recklessly importing various lists into the flashcard program of their choice. However, while it is convenient, I’ve found that I seldom learn these words as thoroughly as those that I add or edit manually myself. Learning is not always convenient. Deep processing requires effort and focus. Manageable chunks… but words don’t exist in a vacuum! This is in fact one of the major disadvantages with learning vocabulary in isolation, such as from a list. As I said above, a language is more than just vocabulary. You can’t just pile words randomly on top of each other and hope that they make sense. Knowing a word is about so much more than the definition, such as how it’s used (which can be very complicated), register, connotations and so on. You simply won’t get this from a list. As we can see, learning directly from a vocabulary list has certain drawbacks. You can get around some of them by using carefully curated content, having a competent teacher and generally being an independent learner who knows about the potential problems. My hope is that this article has helped you towards becoming more aware of the problem. I don’t mean to say that you should never learn vocabulary from a list. There are plenty of times when this makes sense, such as when you want to plug gaps in your vocabulary on a level significantly lower than your current one, or as preparation for listening or reading practice that would otherwise be too difficult. 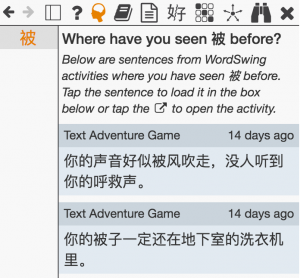 In WordSwing, there’s a neat function that shows you where you have seen a specific character or word. The point is that it should be a tool you use in certain situations when you have a clear reason for doing so. It should never be your main or default study activity. If you don’t know where else you can find words to learn, I suggest you check out this article: Which words you should learn and where to find them. Spoiler alert: Read and listen more. Then generate your own lists based on what you read and listen to, keeping note of the context in which you learnt the word, or preferably, add a short phrase instead of just a word.